Karnataka Chief Minister H D Kumaraswamy speaks as BJP MLA's walks out ahead of the trust vote, at Vidhana Soudha, in Bengaluru. 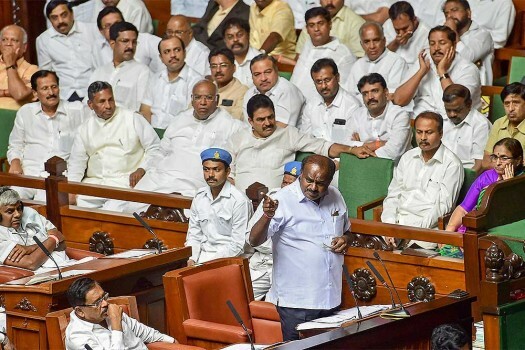 Karnataka Chief Minister H D Kumaraswamy speaks after BJP MLA's walked out ahead of the trust vote, at Vidhana Soudha, in Bengaluru. 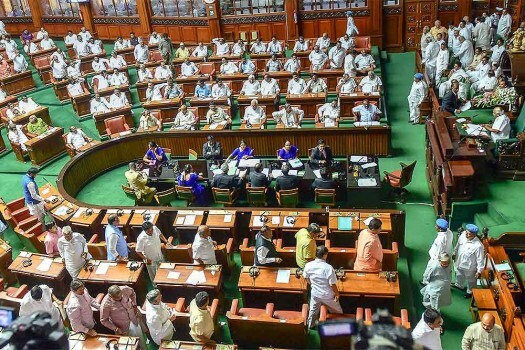 BJP MLA's walks out of the Assembly ahead of the trust vote of Karnataka Chief Minister H D Kumaraswamy at Vidhana Soudha, in Bengaluru. 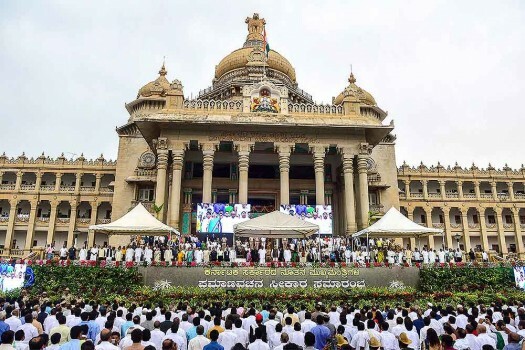 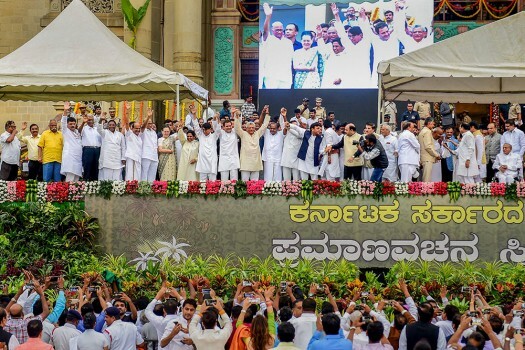 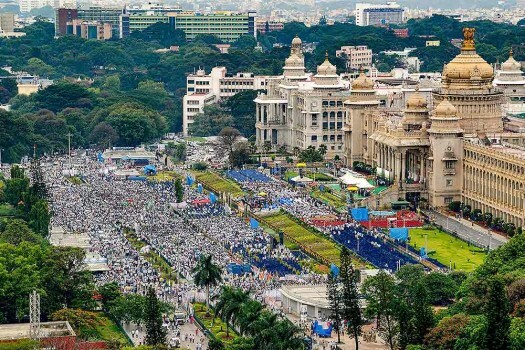 A view of Vidhan Soudha, during the swearing-in ceremony of JD(S)-Congress coalition government, in Bengaluru. 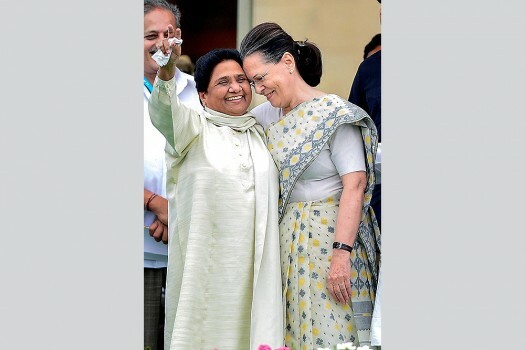 Congress leader Sonia Gandhi and Bahujan Samaj Party (BSP) leader Mayawati during the swearing-in ceremony of JD(S)-Congress coalition government in Bengaluru. 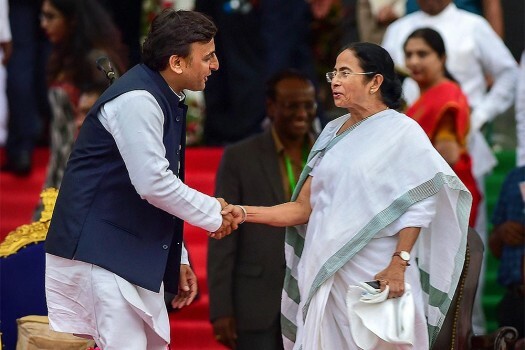 West Bengal Chief Minister Mamata Banerjee greets Samajwadi Party (SP) leader Akhilesh Yadav during the swearing-in ceremony of JD(S)-Congress coalition government, in Bengaluru. 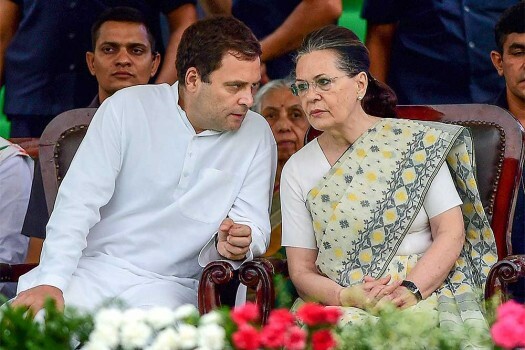 AICC President Rahul Gandhi with his mother and Congress leader Sonia Gandhi during the swearing-in ceremony of JD(S)-Congress coalition government, in Bengaluru. 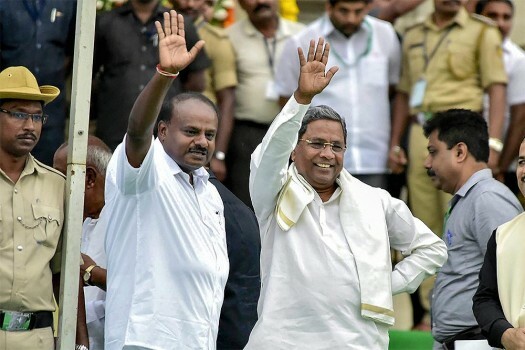 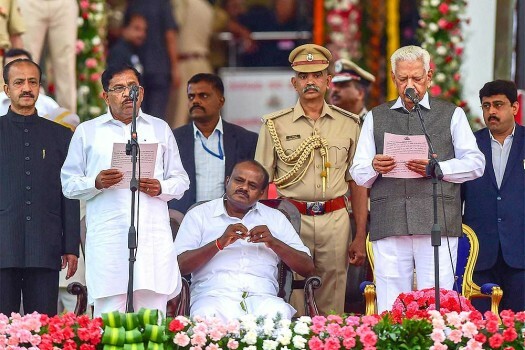 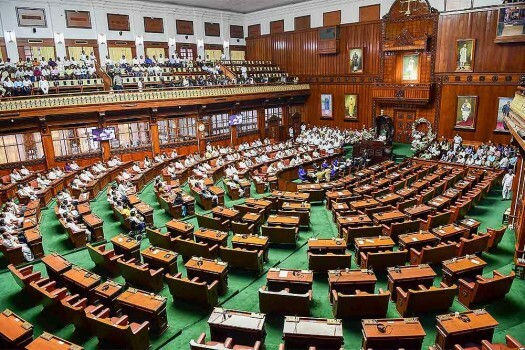 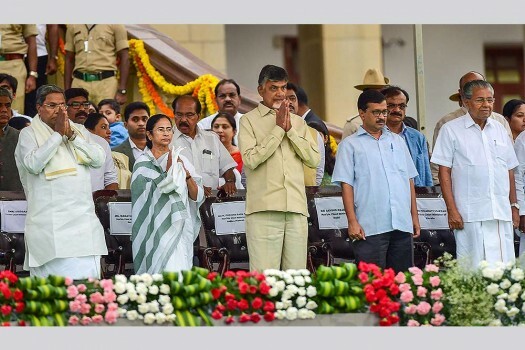 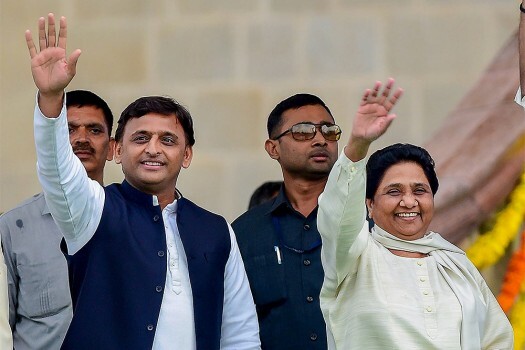 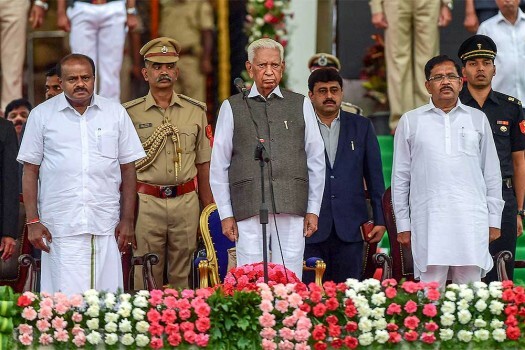 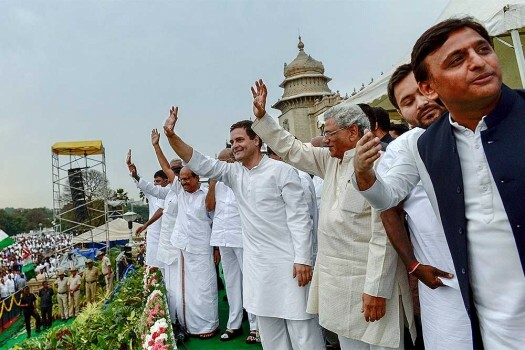 In the 225-member Legislative Assembly, including one nominated Speaker, the Congress has 80 legislators, JD-S 37 and the BJP 104, while one the BSP MLA continues to support the coalition even after Nagesh and Shankar withdrawing their support. 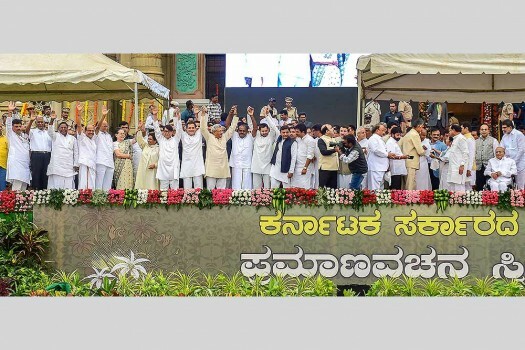 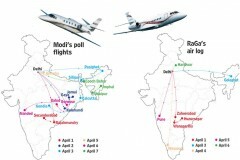 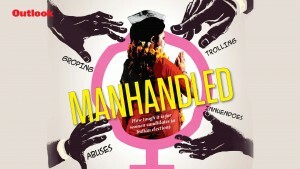 The election in the state is seen as a direct political battle between the Bharatiya Janata Party (BJP) and the Congress. 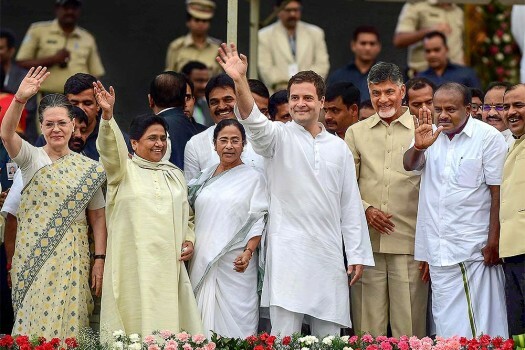 BJP is confident of winning a majority in the 2019 Lok Sabha election. 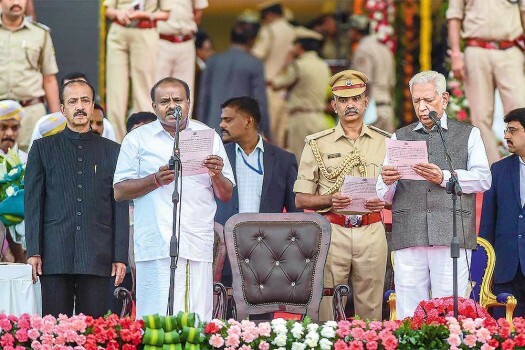 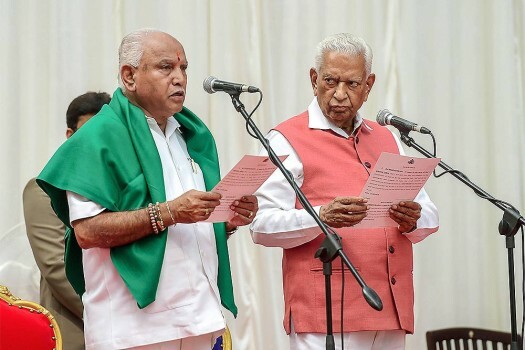 The BJP walked out from the state assembly after BJP state chief BS Yeddyurappa said his party will hold a state-wide bandh on May 28, if Kumaraswamy did not waive off farmer loans.